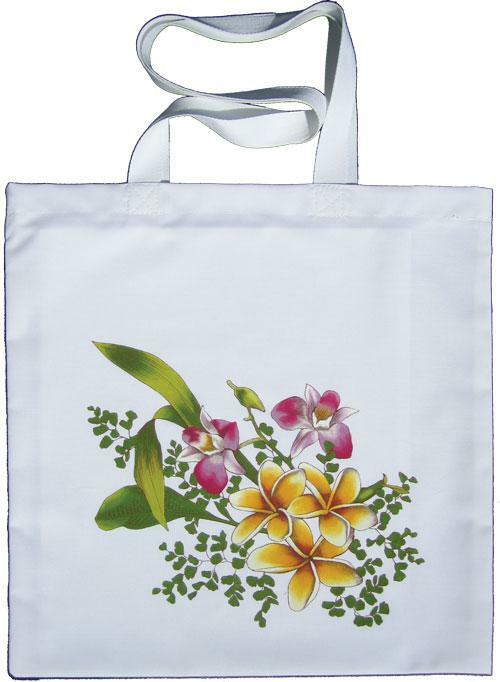 Stunning frangipani design screen printed on our fabulous new tote bag. Great carry bag for craft, school, work, shopping, beach, library books, sport etc. Colours required: 1, 3, 43, 73, 76, 82. Simply place a Blotter Sheet (1632) inside the bag whilst painting, or use a Hobbytex Hoop (1608). 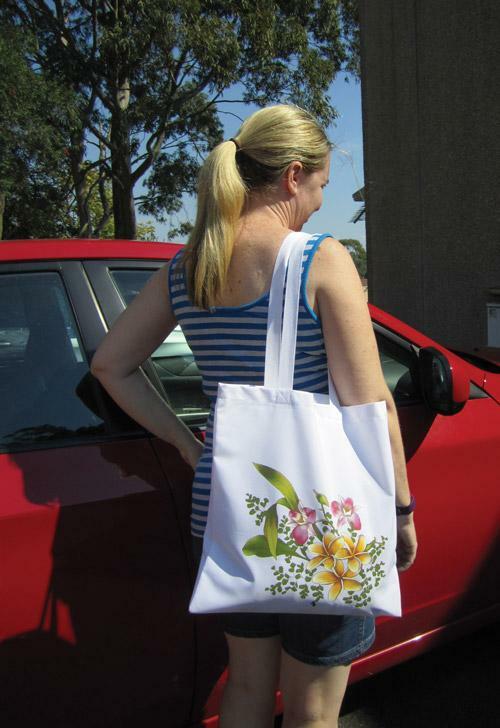 Tote bags are also available in Butterflies (3603), Blue Wren (3604), Hibiscus (3605) and Wattle (3606).